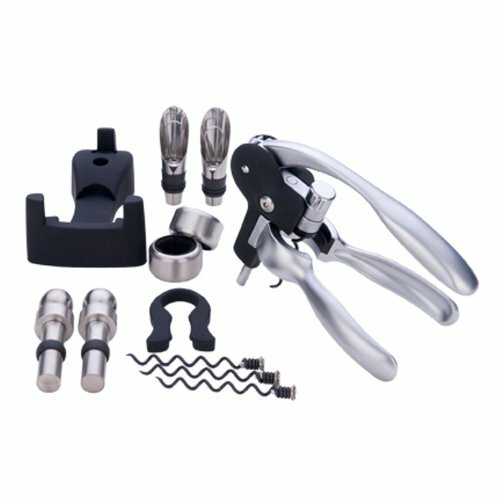 This professional-quality wine opener offers impressive performance with a stylish design. Made from durable, stainless steel with easy-grip, ergonomic handles. This MIU France wine opener has a cam lever design that makes even the most stubborn cork come out. Comes with an extra corkscrew, an attractive presentation stand, and a foil cutter to prepare bottles for opening. This product is dishwasher-safe, and has a lifetime warranty. If you have any questions about this product by MIU France, contact us by completing and submitting the form below. If you are looking for a specif part number, please include it with your message.